Baby corn, young corn, or cornlettes, is a cereal grain taken from corn (maize) harvested early while the stalks are very small and immature. It typically is eaten whole–cob included, in contrast to mature corn, whose cob is too tough for human consumption. It is eaten both raw and cooked. 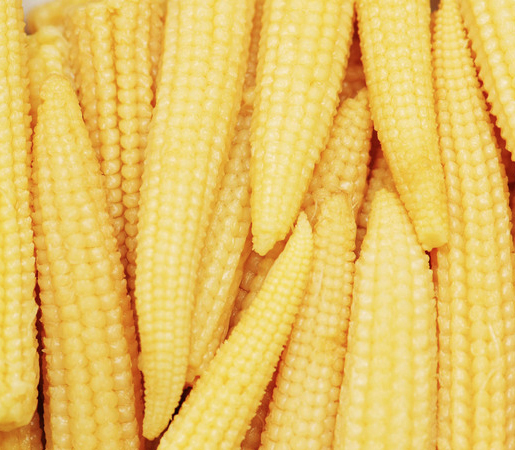 Baby corn are most common in Asian cuisine. In Thai cookbooks, it is referred to as candle corn.